After weeks of speculation, the owners of iconic local retailer Champaign Surplus have announced the company’s future location and a name change. 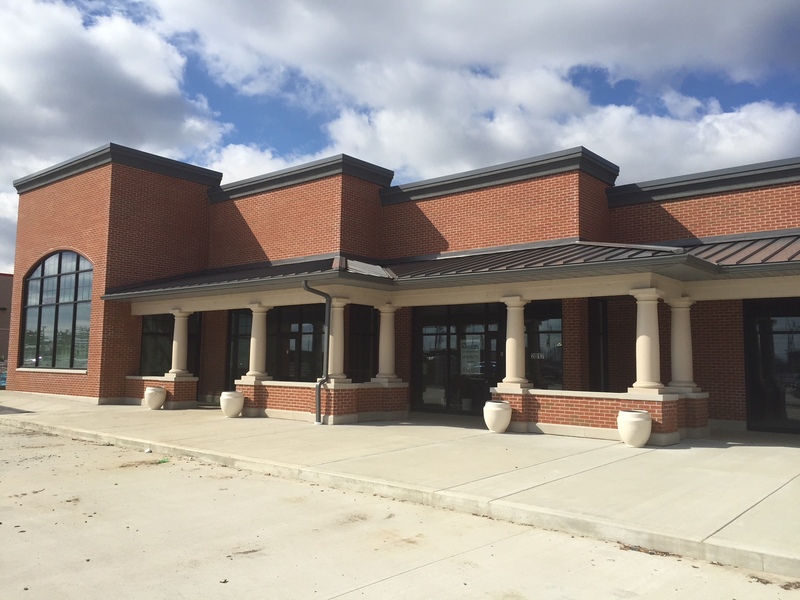 Champaign Surplus will be renamed “Champaign Outdoors,” and will open in a new building located in Champaign’s Carriage Center development. In addition, the company will open a separate store, “Rugged Outdoors,” right next to its flagship storefront. Champaign Outdoors will maintain its Neil Street address, but will be several blocks south at 2017 S. Neil St., near Harvest Market. Both stores plan to be open and ready for business by the end of May, owners say. (For more from the owners, see our Q and A below). The news comes just six weeks after third-generation family owners Shira and Dan Epstein announced that the current downtown location would be liquidated and closing. The sale ends on Sunday at 6 p.m., and the 303 S. Neil Street building will not reopen after that time. Champaign Outdoors plans to be very similar to Champaign Surplus, featuring most of the same camping, travel and apparel brands including Patagonia, The North Face, Kuhl, Vineyard Vines, Osprey, Merrell, Sorel and more. Plans include the incorporation of new technologies to enhance the shopping experience. The Rugged Outdoors store will be the first brick-and-mortar store supporting the company’s thriving e-commerce business, ruggedoutdoors.com. The smaller space will provide an assortment of basic outdoor products and be more deals-oriented. In addition to the new storefronts, Champaign Outdoors has leased 20,000 square feet in the Titan Warehouse district off of north Market Street. This will house the company’s new headquarters and the backbone of its internet operations. The principals of Champaign Outdoors, Dan and Shira Epstein, sat down with chambanamoms.com mom-in-chief Laura Bleill for a frank discussion about their decision behind the move, how it impacts the community, and why they are excited for the future. How did the history/experience of your family business — over 70 years in Champaign — factor into the decision to move and reinvent yourselves? Shira: Reinventing ourselves has always been in our DNA. Many people don’t realize, but my grandfather first opened the business as an appliance shop, and added the surplus just a bit later. Each decade that followed saw many shifts in our selection, from canvas tents and other camping basics; to the addition of clothing, outerwear and a huge Levis department; and then the expansion into specialty outdoor with the growing popularity of outdoor brands and technology during the ’80s and ’90s. Our ability to adapt early, and take what we believe are appropriate risks, has been the key to our long success. We are not at all change adverse, and are always willing to try new things. The biggest risk to our business would be not reinventing ourselves when the customer preferences and retail landscape change. How does it feel to have a somewhat blank slate? Dan: It feels terrific. When you’ve been settled into a location for as long as we have, even when you are willing to adapt, it becomes difficult to make major changes. Once the decision to move was made, and the constraints of our current environment were removed, a world of possibilities opened up. We started thinking about all the exciting things that “could be” to create our ideal store, and to meet the needs of our community. That freedom has had a tremendous impact on our thinking. The creative energy in our business has never been higher. I think that customers will see the results in our new spaces, and believe they will be energized as well. Moving is stressful — how are you guys feeling about it? Dan: After the success of our liquidation sale, we are feeling comfortable with the move. The community really came out and supported us. We now have no prior season inventory to move, and our vendors are working with us to ship our spring product once we are settled. Overall it makes the move much easier than if we had to worry about a huge amount of inventory. Shira: That said, we still need to execute all of our plans. We will certainly need to deal with the inevitable construction delays and whatever other hiccups may come our way. It’s, of course, a bit stressful and we will feel much more relaxed once we’re all moved in, open for business, and on the other side of this big transition. Why did you select this location over other places in Champaign, and what benefits does it offer your customers? Dan: I’m a frequent visitor to the Carriage Center at lunchtime. During several of my visits, I noticed customers at various locations wearing items that locally could only be purchased at Champaign Surplus. That started our investigation into the available spaces in the development. As we learned more, our confidence grew that the location would be a good fit for our business. Now that we are in the design phase of the buildout, we could not be happier with our decision. The Carriage Center area has mostly service oriented businesses, and one retailer recently closed. Why do you think you can thrive there? Shira: We’ve always been more of a destination shop. This will be the fourth location in our history. In each of our previous three locations we were surrounded by many diverse businesses, but more often than not, a limited amount of retail. We were at 40 E. University in the late ’70s when Market Place opened, and Sears and JC Penney left downtown to move to the mall, and in our current location when Robesons closed in 1990. Our long standing customers will find us — and be super excited about our new, flat parking lot! We believe our steady traffic flow will be complementary to the traffic from patrons visiting the grocery, hardware store, restaurants and other service establishments on a regular basis. The fact that one retailer recently closed is not really a concern to us, as businesses open and close locations for a variety of reasons. What can your customers expect in this new shopping experience? Shira: We’ve got some exciting plans and ideas on ways to make the retail experience unique. It will be a fresh, modern build-out designed to serve the evolving way customers like to shop, but still true to our heritage and friendly outdoor culture. Champaign Outdoors product will be very similar to what Champaign Surplus was before our liquidation sale. We will feature the same camping, travel, apparel and footwear categories with merchandise from our pinnacle outdoor brands, and retain our popular events and price matching programs. The store’s focus will be on innovative products, convenience, and even more personalized service based on our expertise. It will also feature a number of new technologies to help complement the person-to-person interactions — designed to help individualize the experience for each customer whether someone is preparing for a big adventure or just needing a quality warm coat to walk across campus. How does Champaign benefit from the online part of your operation? Dan: We believe there are many benefits provided to the local community from our online operation. This past fall, our customers were able to see the impact every day as we filled the floor from our internet inventory. This meant our store floor had plenty to offer across sizes, colors and styles all season. The online business also provides local jobs, including a few new positions that we will be posting soon. The new positions include finance, inventory analyst, customer service and warehouse opportunities. We anticipate that between our new brick-and-mortar locations and our rapidly growing online business, by the 2018 holiday season, we will employ more people in Champaign than at any other time since we opened in 1947. Everyone knows that we’re in a very different era of retail, but you guys seem more bullish than ever. Why is that? The truth is, retail is alive and well and thriving. It’s the retailers tied to expensive real estate who cannot pivot quickly or meet current consumer shopping preferences that are struggling. Retailers who are adapting are doing quite well and being rewarded with customer loyalty, growing sales and bigger market share opportunities. In our 70-year history, we have never seen the opportunities that we now have in front of us. What is your vision for the next 10 years of Champaign Outdoors and Rugged Outdoors? Shira: We can’t think 10 years out! Things are moving too fast for that time frame. What’s most important is building a retail experience and an overall business that meets customer needs on any given “today,” with the flexibility to adapt to what is next. Our hope is that our decisions will allow us to serve the local community for many years to come.